One of the main differences that set Nashville apart from most other cities is that, in Nashville, it really is all about the music and that includes not only enjoying the final performance or product but also by exploring intricate makings of the music. 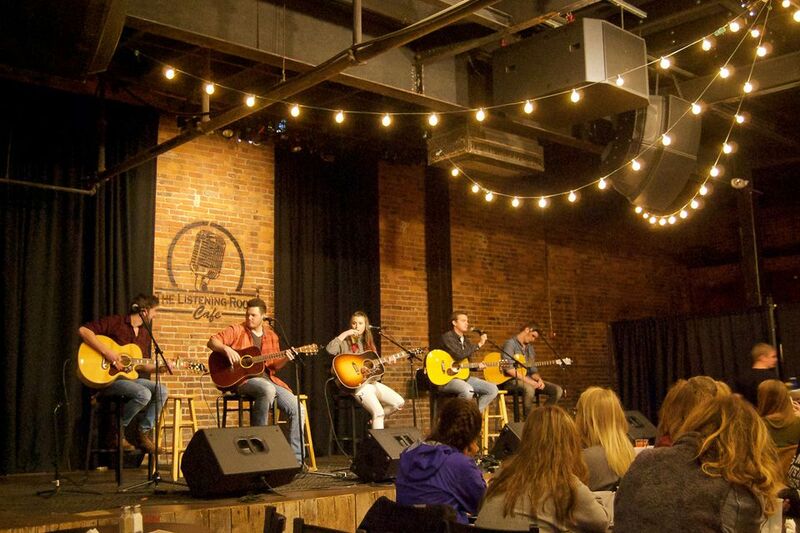 Songwriter Clubs in Nashville provide a vital part of the music as do the local songwriters. If you know anything about songwriting, you know this is the place for it. It's tiny, always packed, and if you talk while someone's playing, you'll get shooshed and probably a few dirty looks too. Open 24 hours with a variety of foods and beverages, Cafe Coco has singer/songwriters on Monday and Thursdays nights, with an open mic on Thursdays. The club features all types of music with a mostly college-age crowd. The Commodore Grille is located in the Holiday Inn (Nashville-Vanderbilt) but don't let the location fool you because the Commodore Grille is a great Nashville music destination when one wants to listen to local songwriters. The Commodore Grille lounge hosts live entertainment each night Tuesday through Sunday. The Crescent doesn't feature rounds as such but does present original singer/songwriters at least four nights a week. Since it's across the street from Vanderbilt it's popular with the college crowd and features alternative and eclectic performers. Every week Doc hosts several Writer's Nights in the Franklin/Cool Springs Area. Usually, you will find these showcases and local songwriters at Dan McGuinness Cool Springs Irish Pub (on Tuesdays) and the Bunganut Pig Franklin (on Wednesdays). This club is a mainstay of Nashville's songwriting community, where the up-and-comers sometimes perform with legendary writers. And like the Bluebird, you will get the evil eye from someone if you talk during a performance. Singer/songwriters from the eclectic to country music industry veterans perform several nights a week. It's a popular place because it's close enough to Music Row that you never know when a big name might drop in for a drink or a song. While the Listening Room Cafe is a restaurant, it also has a great local reputation as being one of the best sounding rooms in town. This local favorite is located in Historic Cummings Station. A little off the beaten path, Mizz Tee's is a friendly neighborhood bar with songwriters and acoustic jammers on Tuesday nights, or more often when the mood strikes host Scotty Lee, who sometimes performs there with his blues/rock cover band on weekends. Founded by the Puckett family in the 1950s, Puckett's first served as a country store to the Leiper's Fork community and has always been the place to buy some food, grab a good homemade sandwich and catch up on the day's events in the world and at home. But in recent years, Puckett's has branched out now includes plenty of talented writers in and around town at three different locations. Puckett's Grocery Nashville is located at the corner of 5th & Church Street at St. Cloud Corner and offers live music from Tuesday through Saturday. There is music every night of the week at the Red Rooster and the variety ranges from the up and coming musicians and songwriters to the more larger established stars. Ri'chards' Café is a new and upcoming club that offers only premier and original music. It's located just 10 minutes north of downtown Nashville in the quaint little town of Whites Creek. That's CooL is not your ordinary songwriter venue because along with it being a live music venue it also doubles as an art gallery and specialty boutique. The only boundaries That's CooL seems to have is that it has to be super cool.